Almond Orchard 2019: Round Two! I am back in California on the almond pollination venture. We left here a little over three weeks ago, and it looked like the bees were brooding up at that time. I waited slightly over one brood cycle in order to be sure of their trajectory going into bloom. They have indeed made progress. It’s a relief to reflect on this first day back in the almond orchard and feel that things are improving rather than declining. Hopefully the next couple of days go similarly well! The handy little trailer and ATV unit at the top of the post really helps defy the mud. It’s not terribly mucky in most places, but there are definitely some very soft spots. A few rounds of rain during the past couple of months have pushed the concept of drought somewhere well into the future. I’m not going around very quickly by my standards. Especially after paying to ship them out here (and thereby committed to ship them back dead or alive), I’m doing whatever I can to treat them as well as possible. We cleaned up the mortality and performed combinations last round, so I came out solo for this visit. 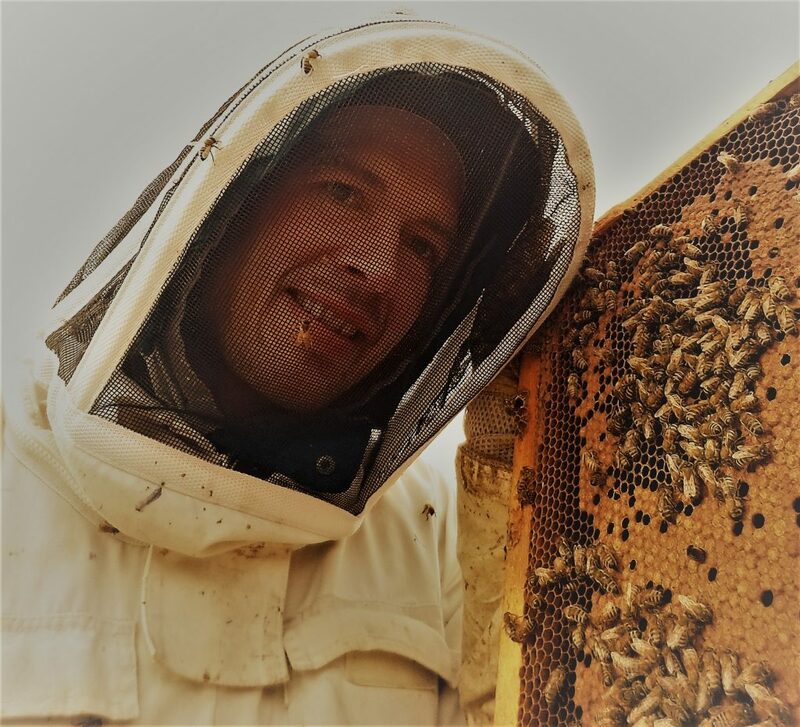 Adam Cuddles with Bees and Brood–Such a Fine February Sight!!! My main worry at this point is the cool down that has descended. The lows are dipping into the 30s for the next several days. I hope that doesn’t crimp the growth pattern. At worst, we’ve achieved better populations than we had a month ago. ⟵Winter Honey Route and Bee Sales 2019!